Duggan's Mission Chapel offers FREE online personalized obituary memorial pages on our website for each of our families, with unlimited text and number of photos, and no expiration. We do this as a complimentary courtesy to help memorialize your loved one with a beautiful tribute you can share with family and friends across the world. Visitors can share memories, condolences, photos, light virtual candles, order flowers and sympathy gifts, and receive guidance on pledging donations in memory of a loved one. Duggan's Mission Chapel does not submit obituaries (Life Tributes) to newspapers. However, we are here to help guide you through the process and provide you with helpful materials. 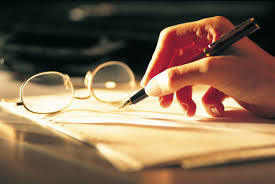 Below, you will find several guides to composing a dignified Life Tribute for your loved one. Click on the graphic on the left to download the reference guide. Click on the graphic on the left to download the submission guidelines.